About 60 Armenian American organisations have joined together to call upon President Barack Obama to stand up to Azerbaijan’s aggression against the Nagorno Karabakh Republic (NKR), as well as to promote peace and foster long-term regional stability, Asbarez reports. “In view of the renewed hostilities by Azerbaijan, which undermine our nation’s regional interests, and taking into consideration President Aliyev’s open threats to continue and further expand aggression against Nagorno Karabakh, we express our full support for the courageous efforts of the people and governments of Armenia and Nagorno Karabakh to protect their citizens and encourage the U.S. government to support the self-defense of the Nagorno Karabakh Republic,” reads the statement addressed to the US President Barack Obama. Further, the organisations call upon Obama to immediately stop all military aid to Azerbaijan and to work with Armenia and the Nagorno Karabakh Republic on the deployment of gunfire locator. They urge the US President to immediately send emergency relief aid to the NKR, as well as to investigate the allegations that Azerbaijan has engaged ISIS fighters and to evaluate the destruction inflicted by Azerbaijan’s aggression. 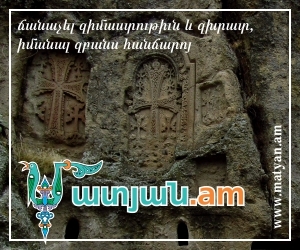 “We welcome this renewed opportunity to underscore the Armenian American community’s enduring solidarity with the Armenian homeland, and – amid this latest escalation of Azerbaijani aggression – to highlight our diaspora’s rock-solid commitment to the security, the strength, and independent status of the Republic of Nagorno Karabakh,” said ANCA Executive Director Aram Hamparian.